The LW405B LaserWriter system is designed for the definition of microstructures and for surface diagnostics, in applications where a resolution down to 0.8 µm is required. 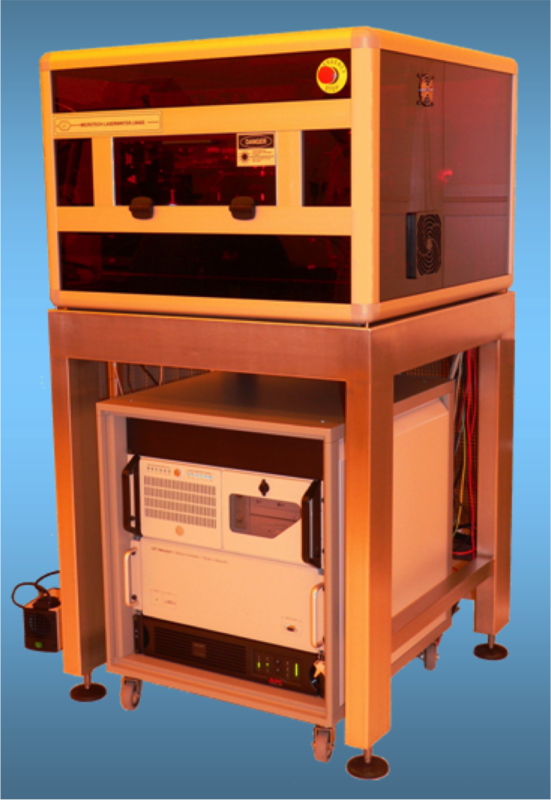 The system transforms a laser beam into a controlled writing tool for photolithographic mask fabrication or for direct in situ processing on planar substrates. Besides direct-write lithograhy, its optical apparatus and substrate motion management are also well suited for surface inspection, measurement and diagnostics. Hence, the same machine can be used first for producing a pattern and later for inspecting the results.